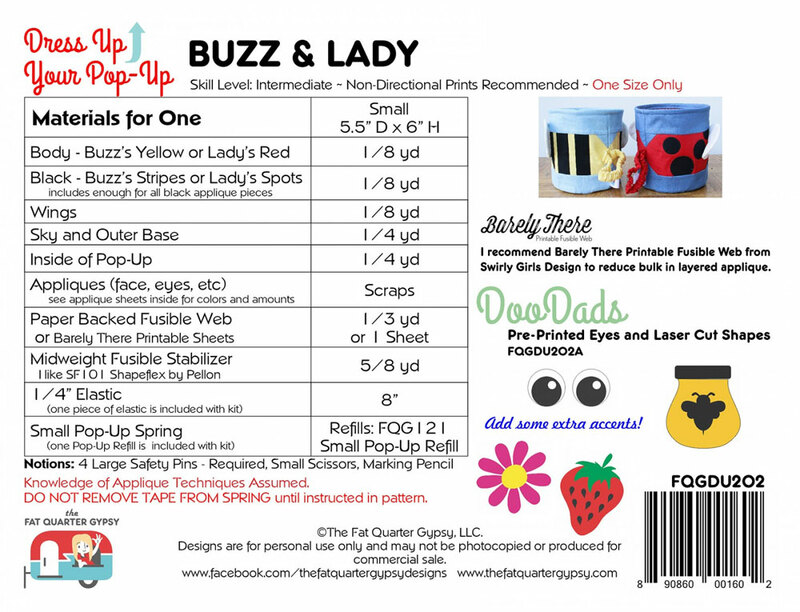 Buzz & Lady dress up your pop-up sewing pattern from Fat Quarter Gypsy is a "Dress Up for your Pop-UP" sewing pattern. 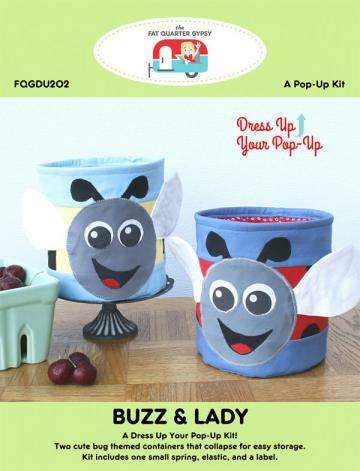 Pattern includes instructions for 2 cute themed containers that collapse for easy storage. This pattern kit includes 1 small spring, one elastic, and one label. Be sure to order another refill if you want to make both designs. Click the link below to find the refills.